Actor Gregory Peck was one of Hollywood’s biggest names during his career thanks to roles in films such as To Kill A Mockingbird, Roman Holiday, and Cape Fear. 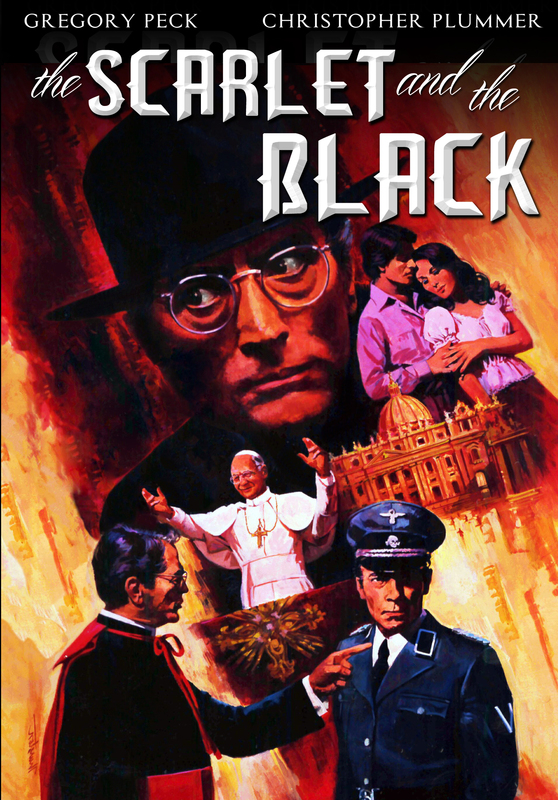 However, when Peck starred in the 1982WWII-themed movie The Scarlet and the Black, the movie largely fell on deaf ears. To this day, Peck’s role as Monsignor O’Flaherty has been overshadowed by his other previously mentioned movies. Despite being overshadowed, true movie lovers will agree that this 1982 period piece is in fact one of Peck’s most underrated works. Viewers will also agree in watching the movie that it is not only one of Peck’s most underrated films, but one of the most underrated WWII-themed movies in general. The first thing that stands out about this movie is its script. It isn’t just another WWII-themed movie full of dogfights, sea battles, and romance. It is very much the human drama. If one delves deeper into this movie’s script, one will see that the story itself is only part of what makes The Scarlet and the Black well worth the watch. The symbolism used throughout the movie and even in its title will pull in those that really let themselves be immersed in the story. While it is hardly the last of the aspects that make the movie worth watching, audiences will also appreciate the commentary tied into the script in terms of man’s ability to commit violence on his fellow man. These are just a few of so many parts of the whole that makes The Scarlet and the Black a movie worth the watch now that it has been re-issued on DVD by Timeless Media and Shout! Factory. The Scarlet and the Black is one of the most underrated movies of Gregory Peck’s film career. It is also one of the most underrated and underappreciated WWII-era movies ever made. That’s because it doesn’t fit nicely into the mold created by Hollywood for movies centered in that era. But that’s not necessarily a bad thing. The story behind this movie wasn’t meant to be like all the other WWII-era movies churned out from the 1940s and beyond. It is a human drama about one man’s courage and determination in the face of seemingly overwhelming odds. Peck’s O’Flaherty stood for his beliefs and his convictions. He stood so strong in his convictions that he was even willing at one point to sneer at Nazi snipers ready to shoot him in the blink of an eye. It takes a truly strong person to stand up to such odds. Even in the story’s closing minutes, he shows just how strong he stood. That moment, which won’t be revealed here, shows just how courageous and how morally strong he truly was. That display of moral and emotional strength is just as powerful to see today as it was over thirty years ago when the movie debuted. The central story of human courage and strength in The Scarlet and the Black is the most important part of the movie. It isn’t the only part of what makes this such an enjoyable work. The symbolism used throughout the movie is just as important in its success. Symbolism is evident even in the story’s very title. The Scarlet and the Black is representative of the struggle between O’Flaherty and his Nazi foes. As audiences will note, both the Nazis and O’Flaherty wear scarlet and black. It’s just one piece of symbolism that audiences will catch in watching this movie. The use of chalk to separate Vatican City territory from the Nazi occupied sections of Rome is also symbolic. In a manner of speaking, the use of the chalk turned the sacred territory that is Vatican City into a virtual prison for those living within its walls. Such symbolism is simple. That less is more mentality embraced by writer David Butler keeps the story from becoming too entrenched in itself and in turn all the more enjoyable. The positives don’t end here. The central story behind The Scarlet and the Black and the symbolism are both pivotal to the movie’s success. 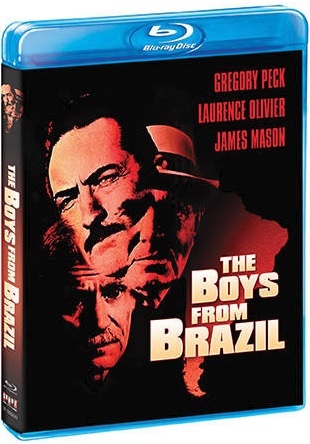 There is still at least one more factor that makes this underappreciated modern classic well worth watching. That factor is the commentary tied into the movie. Butler makes commentary about human nature and man’s free will when a group of Italian soldiers is ordered to shoot one of their own countrymen. The result is quite eye opening. At another point, Col. Kappler’s son points a toy gun right at him and pretends to shoot him. That is very blatant commentary on how easily young minds are influenced. The use of both scenes is the most basic level of commentary. And both are perfect starting points for any high school and college level philosophy classes. This aspect and those already mentioned collectively prove why The Scarlet and the Black is just as deserving as respect as any other WWII era film and any of Gregory Peck’s other more well-known pieces. Viewers will find much more to note for themselves when they purchase the newly re-issued movie for themselves. It is available in stores and online at the Shout! Factory store at http://www.shoutfactory.com/product/scarlet-and-black. More information on this and other releases from Shout! Factory is available online at http://www.shoutfactory.com and http://www.facebook.com/shoutfactoryofficial. To keep up with the latest sports and entertainment reviews and news, go online to http://www.facebook.com/philspicks and “Like” it. Fans can always keep up with the latest sports and entertainment reviews and news in the Phil’s Picks blog at https://philspicks.wordpress.com.